Encounter on the Death Star! 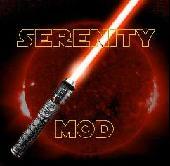 - 16 February 2009 - Jedi academy Mods: By Serenity. Main » 2009 » February » 16 » Encounter on the Death Star! Encounter on the Death Star! Then just pastee the new file into base folder. Force Repulse does not work.